Just two days after UFC President Dana White claimed Jose Aldo refused to defend his featherweight crown against an “undeserving” Anthony Pettis (Pictured), White announced Monday evening the shootout will in fact go on as planned. “Aldo vs Pettis is ON!!!! !” White tweeted. White didn’t report why Aldo did an about-face. The 145-pound scrap takes place August 3rd at a yet-to-be announced venue. Texas, Chicago, Las Vegas and Rio de Janeiro are all under consideration. Pettis requested a shot at Aldo’s throne minutes after the Brazilian posted a unanimous decision victory over Frankie Edgar at UFC 156. “Showtime” was set to face the winner of the April 20th bout between lightweight champ Benson Henderson and Melendez, but the 26-year-old decided he didn’t want to ride the pine that long to sniff his first championship affair in the big leagues. 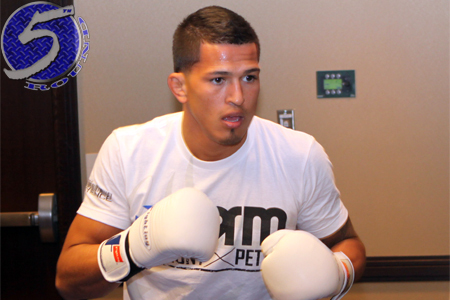 Pettis has won seven of his past eight contests, including three straight. He’s finished his last two victims in highlight reel KO fashion. Aldo, meanwhile, is considered by most as the baddest featherweight to ever play the game. “Scarface” will be riding a 15-fight winning streak into the much anticipated tango.